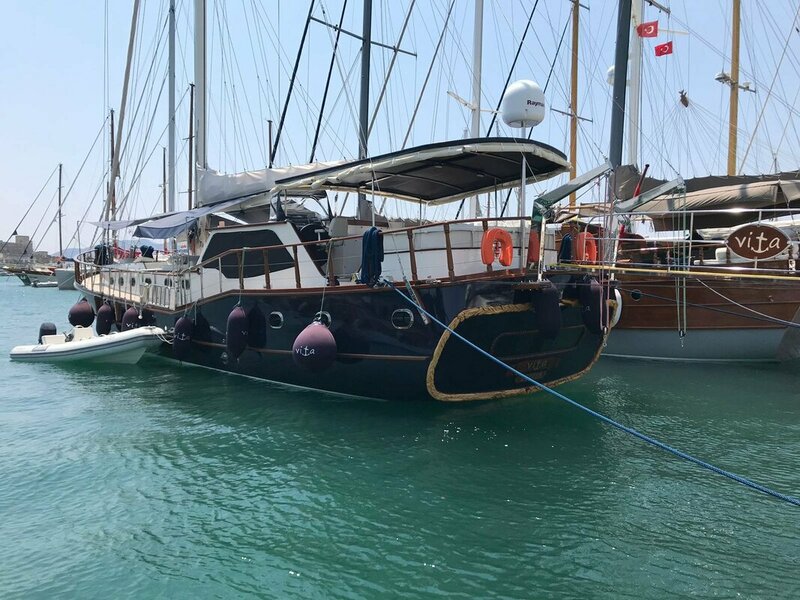 Vita is a 2018 Bodrum built gulet, with a length of 21 meters. She has a forward master cabin and two double guest cabins with ensuites. The master cabin has separate shower and toilet facilities contained within the suite. 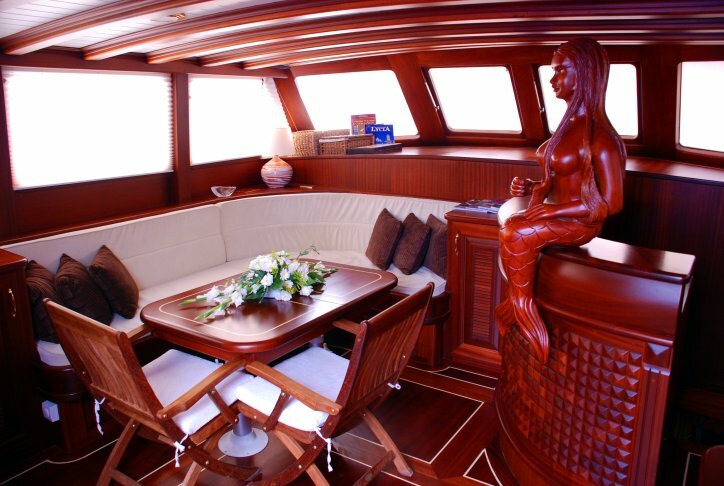 Led by Captain Sonay, Vita has a crew of 3, including chef and steward/deckhand. 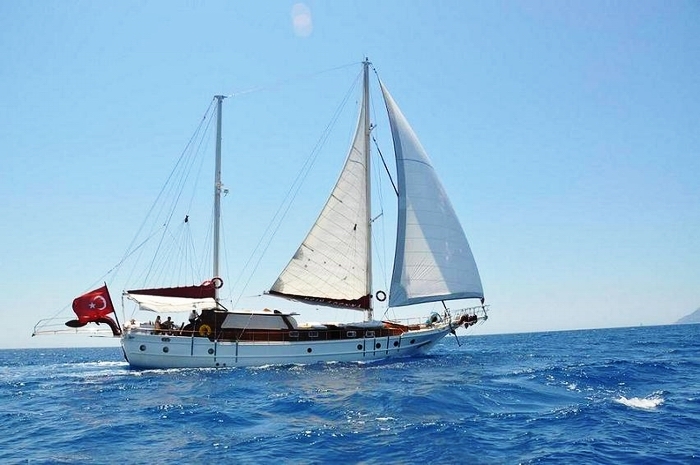 She can comfortably take 6 persons, and her cruising routes include the Western Aegean and Greek Dodecanese Islands. 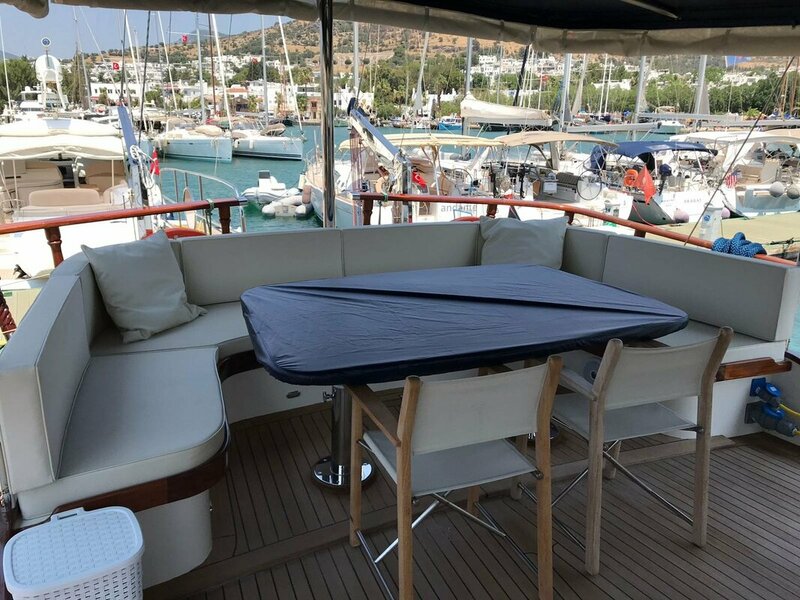 Charter rates vary from 1500-2000 Euro per day for up to 6 guests. Send me more information on Vita. 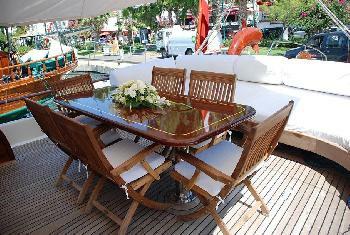 Primadonna is a perennial favorite charter gulet for small groups in Turkey and Greece. 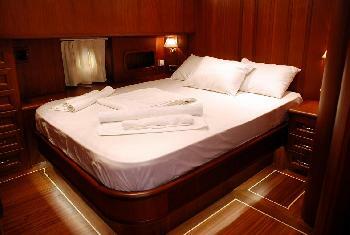 At 21 meters length over all, she has three double staterooms. 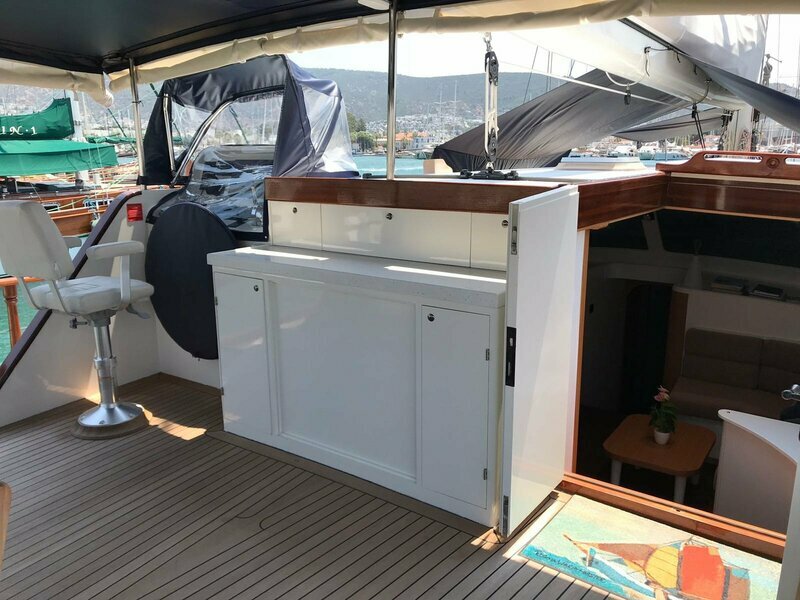 One stateroom is located below the aft deck spreading the entire beam of the yacht. The other two have a separate entrance from the starboard side of the forward deck. 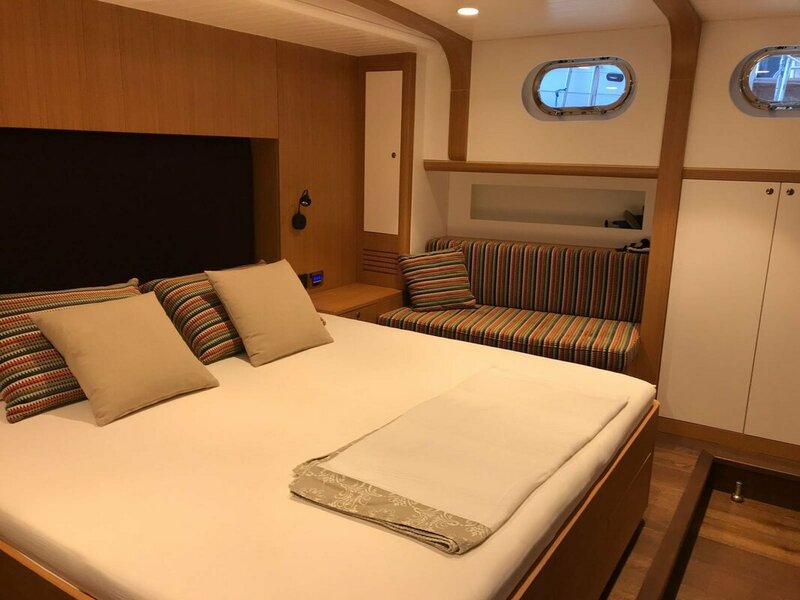 Each stateroom has its own ensuite facilities, and the crew have separate facilities. Primadonna is ideal for honeymoon couples, three couples travelling together, or a family of up to 6 persons. 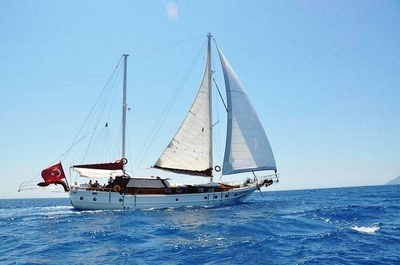 She has air conditioning, and her crew of 3 are discrete and have many years of gulet charter. 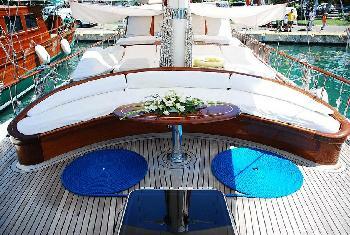 Charter rates vary from 1100-1850 Euro per day for up to 6 guests. Send me more information on Primadonna.